OK, we must say that a good team always has (at least somewhat) talented individuals. Mastering the machine is probably a skill set and an interest more common among introverts than extroverts. But we also know that people who are very good (maybe even the most talented on the team) can ruin the productivity of a team by being too much an individual. We see this in sports (Tyrrell Owens maybe), in life and even in our work. Let's unpeel this a bit further. We have lots of geeky guys (yes, usually guys) on SW teams who prefer to "talk" to real people via technology. Almost exclusively. Note that, in a face-to-face team it is much easier to see people-issue impediments. When not F-T-F, it is easy *not* to see people-issue impediments. If there is a will to fix impediments, it is better to see them. Now, I am fine to accept and work with a distributed team. And, I still think there is a strong argument for more collocation and more face-to-face conversation. Yes, we have to accept that each person is different. And make some accommodations to that. 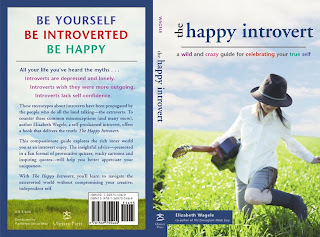 It is silly to try to make introverts into extroverts (or vice versa). But that does not mean that everyone should stay in their comfort zone all the time. To some degree, for the good of the team, we need to ask the introverts to "step out of the cube, dave" some too. (I hope that phrasing injects a tad of 2001 humor. If you know that movie.) And we need to ask the extroverts "could you shut up a moment, please." In a broader sense, there should always be a tension between individualism and "the team". We contribute everything that we are, as individuals. We do...so that the team can have a greater success as a team than any one of us alone. Or so it is when we play team sports, like new product development. I say this as a bit of an introvert myself (per Myers-Briggs). Why do we seem to think that a distributed team is so obviously best for our situation? I am distressed when I see firms "assume" a distributed team or partly offshore team, without any analysis of whether it beats a good alternative (eg, a collocated team). Each time it must be analyzed, in my opinion. So, I am assuming you can often get 4-7 people with good skills/knowledge in your product domain areas. That could be collocated at relatively low cost. I posit that usually the special knowledge or skills or lower cost that distributed people bring, at first, is less important than the knowledge creation, and skill creation and team "emergence", that a collocated team can create. Nothing I said earlier contradicts these statements. We are looking forward to a good class in Durham, NC. Certified ScrumMaster Class. We hope that people will get enough out of it to double their velocity. (We know there is enough there to do that, but there are several other issues.) The course will address BV Engineering, Agile Estimating & Planning, and other issues. On the third day (sign-up separately), we will have a Team Start-up session. All are welcome at this May 8th session. This day will get more practical about the issues in starting up a team. All the different kinds of issues. See LeanAgileTraining.com or contact Julia.Hill@leanagiletraining.com. Back in September, Jeff Sutherland spoke at the Googleplex in NYC. Topic: Shock Therapy. Also called: "Self-Organization: The secret sauce for improving your Scrum team". Summary: Shock Therapy is a technique for a special and experienced coach to work with a Team to help the team boot up so that they can self-organize to a better life and hyperproductivity. Like many things in Scrum, it sounds paradoxical, but is not in practice.